Well, what a great combination of both chassis and bodywork - both favourites of mine. 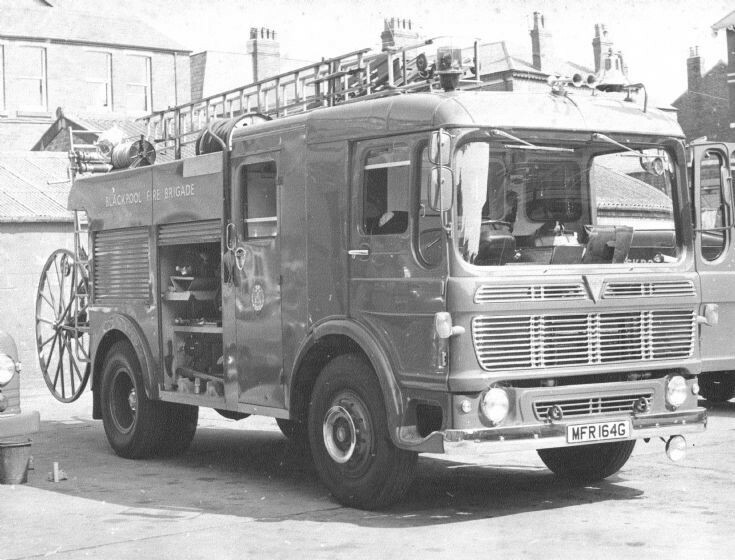 Photographed at the then Albert Road Fire Station and brigade HQ. I don't think it gets any better than that! Unusual position for the hosereel, but note that the tubing runs down the bodyside to a point just below the grab handle, for easy access. Stowing it after use not so easy, unless the reel was powered. Added by John Macrae on 28 August 2016.